Tell us what do you drive? Do you own or lease? Can you afford a Mercedes of new or just an opinion of being rude? oh! and he goes THERE!! 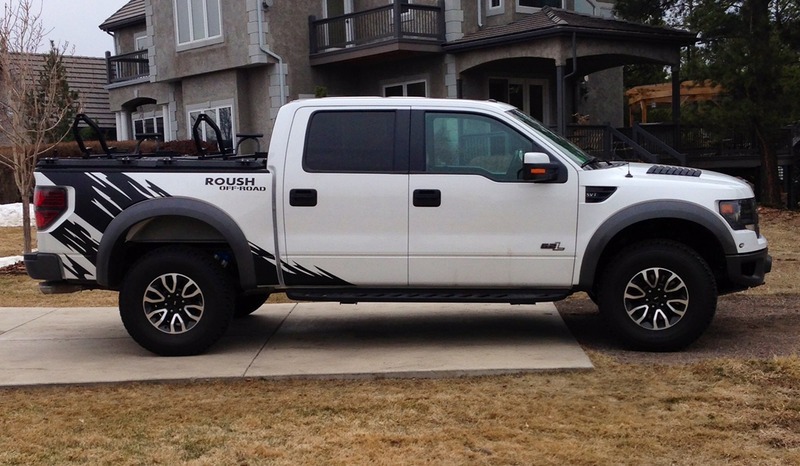 the 'what do you drive?' insult/question?? I didn't realize the CLS is being re-designed for 2016, which is surprising since it just got a face lift for 2015 (just hitting dealer lots now). If true, MB seems to have abandoned historical design release/mid-cycle face-lift/redesign cycles. I'm glad that you so enjoy your CL600. It's a great car but I've never liked the looks. It's somewhat bland looking in my opinion. The S Coupe is a stunning vehicle. I have a 2015 S550 sedan that I absolutely love. The interior is beautiful and the technology is amazing. In addition, I have a Bentley and two Ferraris. All are exciting cars with great interiors and I believe that the S coupe and sedan holds their own against these cars. I'm not sure if I'm understanding you correctly but the CL was not a hand built car. I believe that the G is the only hand built Mercedes. 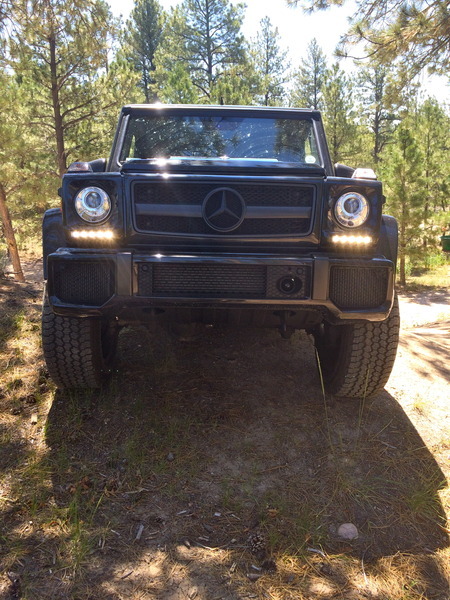 My daily driver is a G63 and it might be my favorite. We all have different tastes and opinions. Mine are not in-line with yours or K-A's. But, the world would be a boring place if we all agreed. Doesn't matter what you drive or what you can afford. We're all entitled to opinions. Especially when it comes to cars. My point exactly!!! Everyone is entitled to their opinions as long as it doesn't get personal and rude and offensive. If you don't agree just say so but don't try and rub crap in another's face just because it isn't what you want to hear. Also, you can argue all you want but the CL is not a production car, they are built entirely different than any other MBZ. Call corporate and ask. They will tell you the same thing. They are not entirely hand built but they are NOT a full assembly line car. If you have any doubts, contact MBZ in Germany and they will tell you the same thing that I am telling you. It takes much longer to build the CL when produced than any other car their assembly line production cars. I am sorry but I do not believe you about what you drive. If you did drive a new Bentley you wouldn't have made the comments you just made. The S Sedan with the premium interior/Designo is one of the prettiest interiors going, as for outward design, it lacks in all aspects except for the tail end. I am glad you like the car. I find it technologically to be the best car on the road but IMO, you can dress up a pig and it is still a pig. They are giving MASSIVE discounts on the S Sedan and special incentives already and the car isn't even 14 months old. That should be a key indicator. 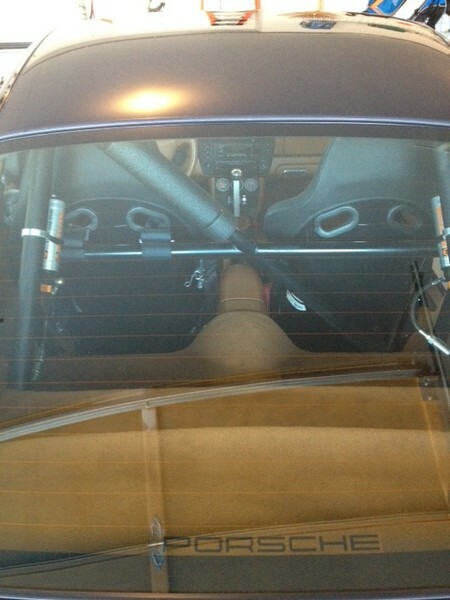 Anyone can afford a 94K car plus a few goodies. You can lease those for what,1K a month or less. I think your opinion is valuable. I don't care for the 07-10 CL but find that the 11-14 CL in any version is a beautiful car and is what MBZ stands for. The S Series is IMO is not attractive. I would rather have a 7 Series. They are much more appealing. If you want status you surely don't drive a S Sedan. You of all people should know that esp. if you have these Bentley's and the likes. I felt the same way about the W216 when it first came out and wouldn't have one if it was given to me. It wasn't until the refresh, that I even took notice. Once I did I liked the car. Same with the new 7 series in the early 2000's until they did the refresh and in the later years of that car I found them to be very beautiful. So, sometime they get it right, straight out of the gate and sometimes it takes tweaking to make it right. The S Classes both need tweaking. Maybe on the refresh they will be beautiful. Same with the SL they had just gotten the SL in 09-12 perfect and then went and started it all over again. The C class is about the only one of the cars that I see as of 2015 that is right, in my eyes. Its balanced and a very nice car to look at. Not what I would want but appealing, just the same. That is my opinion. It may not carry into your thoughts but it is how I feel. That is why there are all flavors for all people. I have always loved the 07-13 S Sedan. Everytime I see a high line one with the beautiful wheels, esp. the 11-13 and I go crazy for it. I am trying to work a deal on a 2103 S 65 Designo right now. I have always wanted one and I think it will be a perfect car for my collection, the prices are right on those and I find it spectacular!!!!! I wish the headlamps and front fender were a smoothed out like they did on the CL but other than that I can not find flaw in the car. I LOVE this model. It is impressive to say the least. That to is what a real MBZ is all about. I didn't feel that connection with the new S Sedan. Same as I have no feeling for the S Coupe. Last edited by 2014CL600; 12-02-2014 at 06:28 PM. How could you not find this car more beautiful than the new S Sedan ?????? You called me out!!! Alright, I'll bite. You don't believe me and I can't believe it but I'm going to post a few pictures of my cars. Lots of folks on this forum have nice cars. You're not alone. I also have a home outside of Tampa, FL. 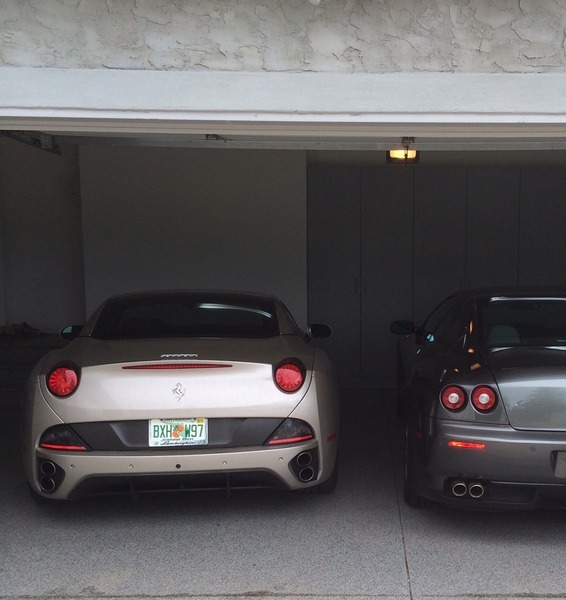 My red Bentley and G550 reside in FL. Sorry, I don't have pics. 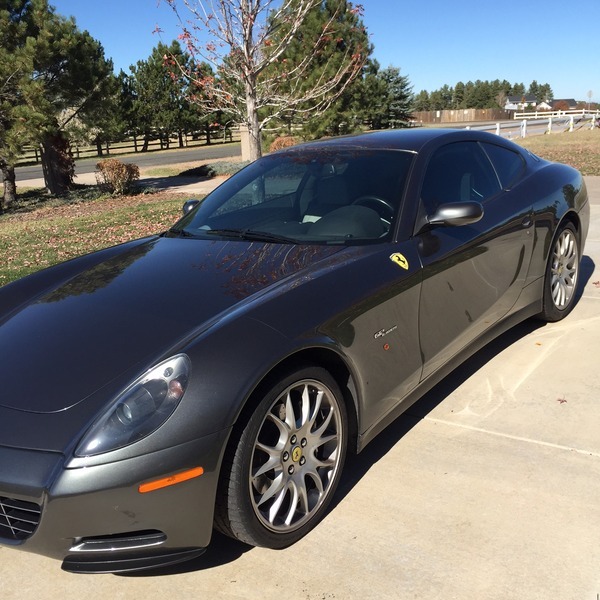 But, since you want some proof, here's my old California parked next to my 612 in Colorado. Notice the FL plates? I used to keep it there. Next time I'm in FL I'll take a few pics. Don't get me wrong, I love Bentley. I like it better than the S but the S interior does rival it. I'm passionate about cars. Have been since I was a kid. 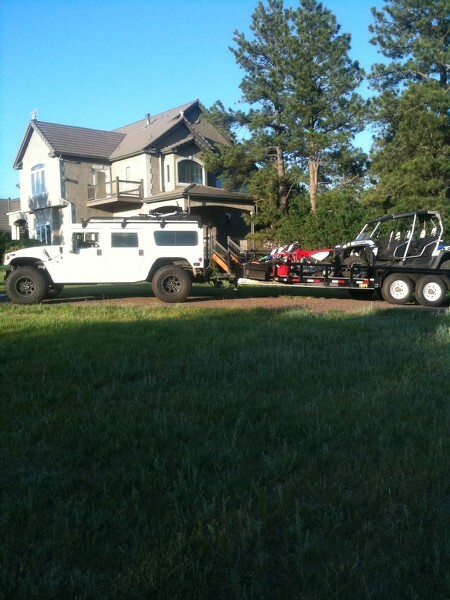 Each of my cars has a purpose whether it be enjoying the outdoors, off-roading, racing, cruising, road trips, etc. I'm not worried about "prestige". (Even though you wouldn't know it by this obnoxious post I'm typing right now!) I focus on the adrenaline rush I get while driving and enjoying these vehicles. In my humble opinion, the new S-Coupe is a beauty. They're very nice. I would have bought that instead of the new S if I liked it better. I love the new S.
Is that an OLD iPad you're using????!!!! Of course not! My kids break them all of the time so I put them in a bank vault of a case. I have both the 2015 S 63 sedan and the 2015 S 63 coupe. 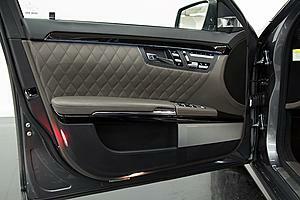 I have designo interior on both and 99% of available options on both. I think the coupe is a stunning vehicle inside and out. I get a lot of compliments and it attracts a lot of attention. I have driven both the old body S and the CL. IMO the new S class - both sedan and coupe are far more luxurious and superior than old body styles. I would choose the new S class any day. I would say that the designo interior does add another level of luxury. 2014CL600, Lot of wrong info unfortunately. The redesign of the SL is due out in 2019 (this time as a ragtop), the facelift is due in 16 model. If hope he front end will look more like the new GT AMG. The CLS follows the e-class timing-wise and the new E (W213) is coming in March 2016. Expect the CLS earliest in 2017. Also, to diss the S-class coupe and praise the sedan when it comes to luxury is somewhat of a joke as both are on the same level quality and design luxury-wise (even with less wood which defines luxury only to some). The coupe is also officially the quietest coupe in the world and quieter at speed than the sedan (or any Bentley or RR). 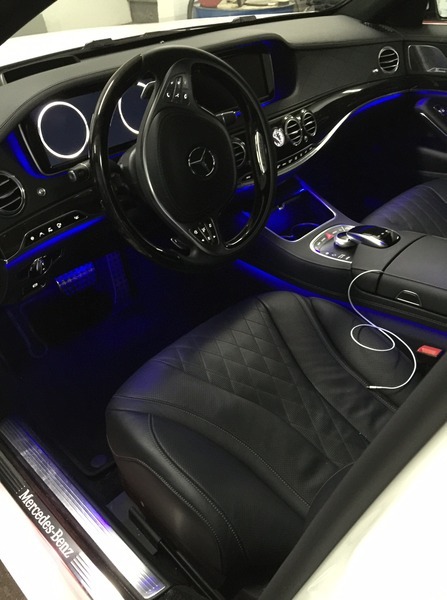 Only the Mercedes Maybach is supposed quieter yet. This has nothing to do with taste. Last edited by Wolfman; 12-02-2014 at 09:44 PM. He doesn't have a clue as to what he is talking about, that is so clear now. He's confused as to what a redesign is vs a facelift. Last edited by Germancar1; 12-02-2014 at 11:43 PM. So much misinformation, not worth trying to straighten it all out. Sorry you feel that way. I've decided that you're either very old and senile or you're just not too bright so I won't state the obvious about you being clueless. You talk about others and what they drive being junk and then you turn around and don't believe what they say they drive. There is something wrong with you, not sure what, but you have a problem. I personally think it is some form of dementia. BTW, you're doing the very same thing you're telling others not to do, forcing an opinion down someone's throat. I noticed that now you've gone from the CL being handmade to it being made on a sub assembly line...interesting (like every other Benz). Last edited by Germancar1; 12-02-2014 at 11:38 PM. ... That is my opinion. It may not carry into your thoughts but it is how I feel. That is why there are all flavors for all people. I have always loved the 07-13 S Sedan. Everytime I see a high line one with the beautiful wheels, esp. the 11-13 and I go crazy for it. ... I LOVE this model. It is impressive to say the least. That to is what a real MBZ is all about. I didn't feel that connection with the new S Sedan. Same as I have no feeling for the S Coupe. It takes lots of different opinions to make things interesting. I don't share your opinions but respect that you feel something different. Based on first year production numbers it is obvious that many others have a different opinion from yours too. Based on public opinion (measured by first year real production numbers) MB has done something right with the new S Sedan design. I am one of those who came into the MB family due to the new S Sedan. I wasn't even seriously considering MB until the new S was released. 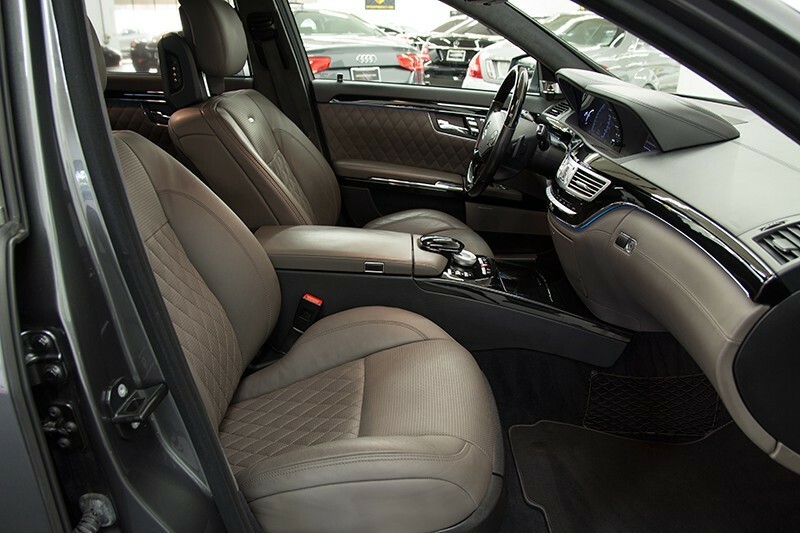 When shopping I thought I wanted the BMW 7 and really tried to like it but couldn't even bring myself to do a test drive as the design and interior comfort were a total turn off. I for one am very happy that MB made the changes to the S Sedan W222 - IMO a beautiful car, the best available today. If I had the decision to make again today I would still buy the W222. I like the design language much better than the W221 and I feel it is in a totally different league than BMW's 7 series. I drive a 2005 s500 designo and a 96 911 turbo. Old and not worth much. I make less money than you. I have a lower net worth than you. I can probably not afford a new S class. I suppose therefore my opinion is invalid? Quadcammer and Germancar1, you both like to stir the pot. Everyone's opinion is valid but you both think it is OK to make posts on a personal level and when you are called out you lash out like children, thus causing a riff in the conversation. If you have nothing nice to say about someone's post, keep it to yourself. If you disagree with a post, that is all well and good. That is what these forum's are all about, opinions not personal attacks. It would be nice if you and the likes would respond only to relevant facts rather than go publically and take them to a personal level of insults. So, whether you have as much money or driver cars that aren't worth a lot or can't afford a new car is not relevant or important. Your opinions are relevant and important, as long as you keep them civil. So, please in the future stop posting rude comments and stop trying to stir up trouble. That is why they made it so you can send PRIVATE messages, as not to involve or disturb the rest of the flow of the conversation. Thank you. Last edited by 2014CL600; 12-03-2014 at 12:09 PM. A 1996 911 turbo? 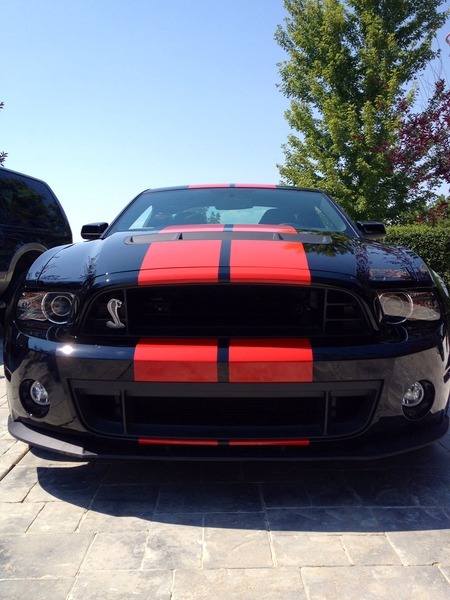 Awesome car. Sorry man but you're full of BS. You're the main one here attacking people for what they drive or don't drive, calling people liars about what they own or don't own and then telling people that they're opinion isn't valid because they don't drive this or that. You started this and now you want to blame everyone else but yourself. I wouldn't my time sending you a private mesg about anything. 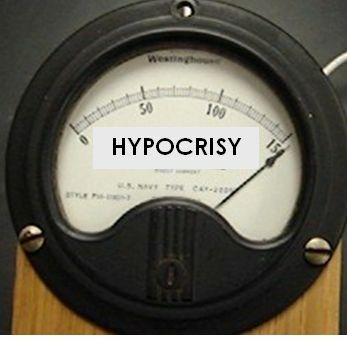 You deride people for what they drive and now you say it isn't important? Like I said before, I feel sorry for you because there is something clearly off with your posts. You can't even remember what you said in the last one. thanks! I agree, its a lot of fun to drive. 2014CL600, I think you should reflect on your own posting habits before chiding others. 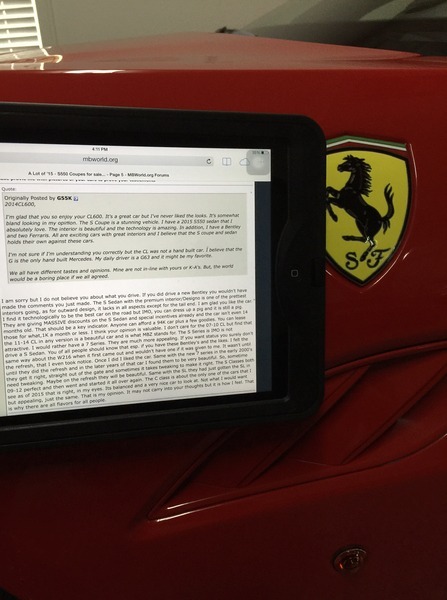 I'm happy to keep it to the cars, but lets also be clear what is fact and what is speculation or conjecture. I hope you watched the Video I posted. The man clearly stated the car was built on a slower production line. Again, if you didn't watch and listen please do so. I have not spoken out of turn. I now turned off my notifications to this forum topic. I hope the next one ends up a little nicer in tone, than this one turned out to be.